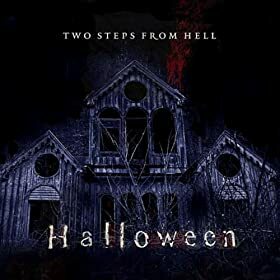 When I heard Two Steps From Hell’s first album Invincible I was utterly blown away. I never knew a group existed that focused on just making epic trailer music. I hadn’t checked out any of their other albums until today when I just reviewed Archangel. They carried over the same sound to that album, so as amazing as it was my mind wasn’t blown because I knew what to expect. This album however is a departure from the those other two, as the name implies they focus on making epic horror tracks for trailers and the result is PHENOMENAL. Unfortunately the tracks tend to be very short, and because its geared for trailers this isn’t basic horror background music where you can just have 10 minutes of creepy stillness building suspense, use this album for when that stillness breaks and something terrible is about to or is happening. A MUST for any horror game.